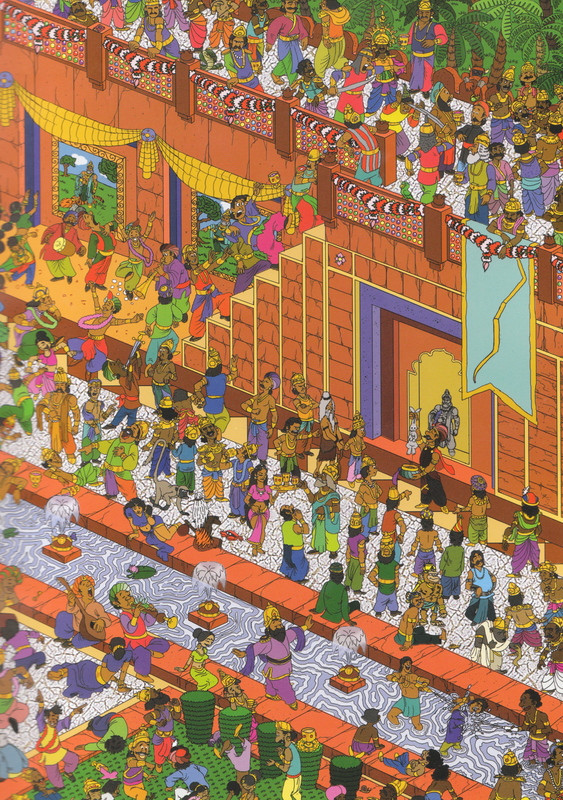 The book has 12 colorful scenes ranging from Sita’s wedding to Marching to lanka. 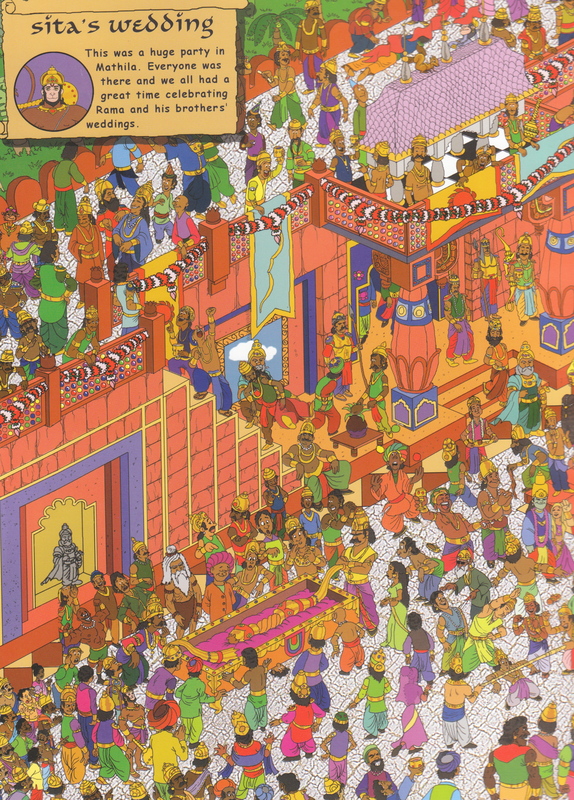 Here is a sample scene…can you find Hanuman? So how many were you able to locate? 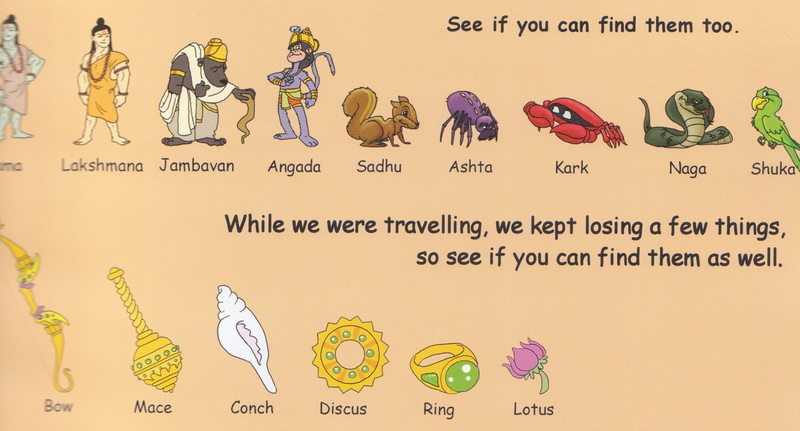 Where’s Hanuman? is written by Alister Taylor and illustrated by Christopher Woods and Ben McClintic.